Are you heading for Thailand during your next holiday? 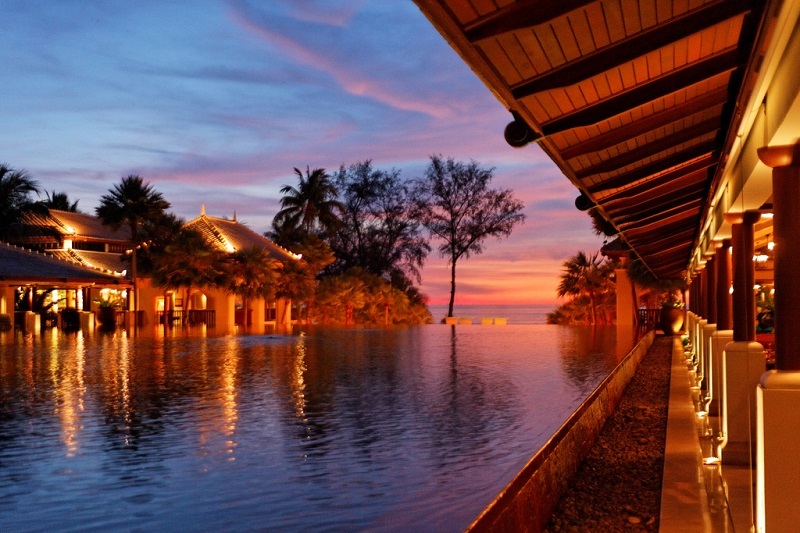 Here are the best places to stay in Phuket Island! 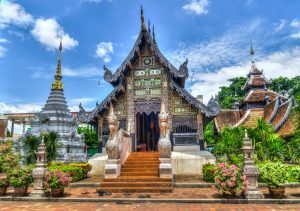 Phuket – to be pronounced “poo-ket” – is a southern province of Thailand, which is mainly composed of the island of Ko Phuket, connected to the mainland by Sarasin Bridge. It is the largest Thai island in the Andaman Sea, located west of the Malay peninsula. With 525,018 inhabitants (2010), Thailand’s population includes 21% of expatriates, with 115,881 foreign inhabitants spread over 536 km². Finding accommodation to stay in Phuket is very easy: the province boasts a profusion of resorts, bungalows, youth hostels, and hotels. Yet in addition to choosing your destination city, you also have to choose the season because accommodation rates can double from November to January during the dry season, and are significantly lower from May to September during the rainy season. The province is known worldwide for its mass tourism, its white and fine sandy paradise beaches lined with coconut palms, its turquoise waters, and its dream tropical climate averaging 28°C all year round. 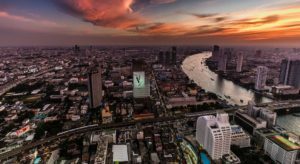 It is these attributes that make it one of Thailand’s most touristic destinations, which means it can easily be compared to a “theme park” or a “tourist factory”, far removed from a more authentic Thailand. If in your view these downsides are worth enduring in order to enjoy the area’s majestic landscapes, here is a non-exhaustive mini-guide to help you decide where to stay in Phuket. Situated close to the airport, Mai Khao is the first village one crosses during a trip to the island. Swimming is unfortunately dangerous all year round, but the advantage is that the locality is less touristy than the south-western beaches. It’s a good place to stay in Phuket if you’re travelling as a couple or a family and if you prefer to avoid the beaches where people party until dawn. Here the atmosphere is rather family-friendly, and less crowded than other destinations. 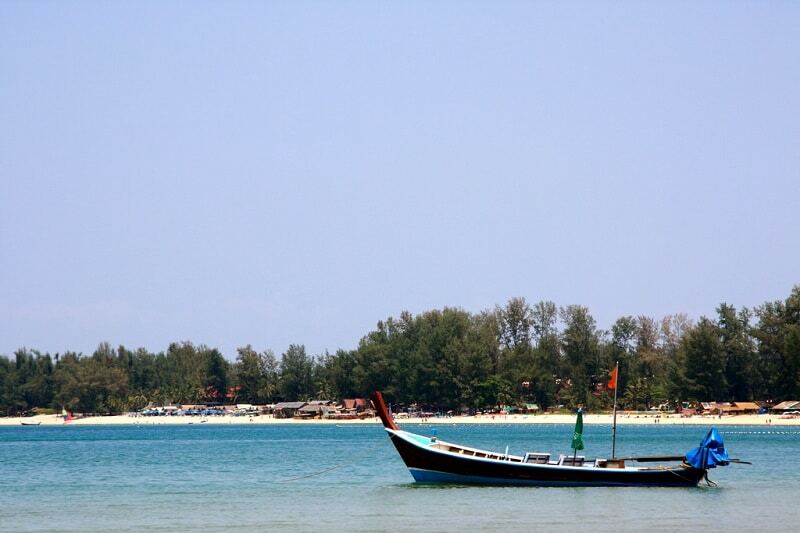 Bang Tao is a six-kilometre long beach located a few minutes from the town of Cherngtalay. The northern part of the beach is still relatively unspoilt from mass tourism: you may even have the beach for yourself during off-peak periods! However, there’s not much else to do but bask at the water’s edge, relax at the bar, and eat at the restaurant: pure idleness! Many luxurious hotels adjoining the beach offer traditional tourist services and feature swimming pools, restaurants, and massages. Choose this area to stay in Phuket if you are looking for peace and quiet. 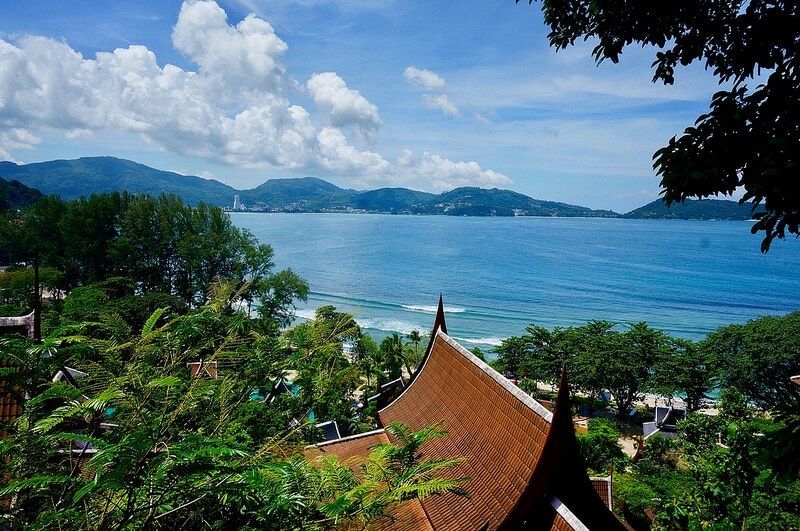 Located to the north of the tumultuous and fiery Patong, Kamala beach is a three kilometre long strip lined with sugar palm trees, coconut trees, and pines. It is one of Phuket’s most remarkable places, boasting a magnificent bay, and a fishing village always in activity: a slice of authenticity in this hub of tourism. 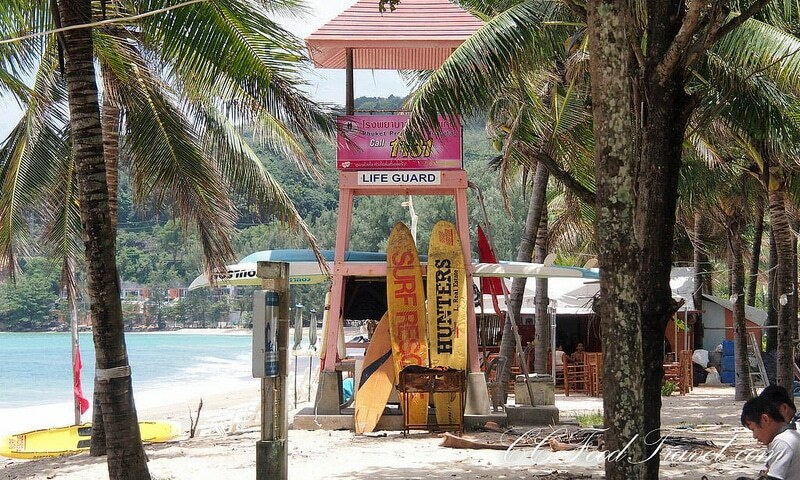 If you choose this beach to stay in Phuket, you won’t go hungry or thirsty thanks to the many restaurants lining the edge of the beach, as well as the array of bars on the main street. Staying in Kamala is a good compromise between restlessness and calm. Further north, Karon beach has a very similar character and feel as Kamala beach. A seaside resort on the west coast of Phuket Island, Patong is the best place to stay in Phuket if you are a young and healthy night owl. It is also the most touristic city of the Phuket province. In fact, nightlife is unbridled and the city is teeming with tourists all year round, especially during the dry season (from November to March). The advantage is that the population congregates on the seaside and you can easily climb the mountains to find yourself in the middle of nature, a haven of green and calm.